Zelalem Teshome Baye agues that the country’s political leaders need to critically re-examine the existing ethnic-based modes of the structure of political representation if further political crises are to be avoided. Over the past 26 years, Ethiopia conducted five general elections. In all of them, the ruling political party Ethiopian People´s Revolutionary Democratic Front (EPRDF) has remained the governing power. The aftermath of the last general election, which was held on 24 May 2015, brought a series of crackdowns that radically transformed the nature and patterns of political dissent in Ethiopia. In the 2015 election, the EPRDF (through its regional parties) won all of the 547 seats in the national parliament. But, the 100% landslide was contested leading to hostile ethnic-based political turmoil across the nation. Thousands of people have been killed, tens of thousands arrested, and hundreds of thousands internally displaced during these two years. 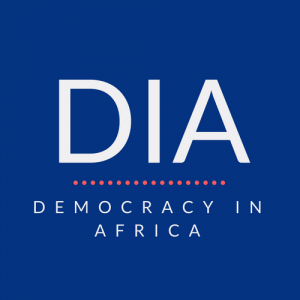 The current political uncertainty and turmoil in Ethiopia is significant in that it can be an opportunity for establishing a functioning democratic society. Though the issues raised by the protesters have been inconsistent and the patterns of their interest articulation give impressions of fragmentation, it seems the fundamental cause of all the ensuing political turmoil is the existing exclusive and divisive ethnic-based political representation. It is important that political leaders critically re-examine the existing ethnic-based modes of the structure of political representation. In order to emphasize the relevance of this call, let us discuss some of the major ethnic-oriented violence of the last two years in Ethiopia. In November 2015, protests began in a small city called Sululta (one of the neighborhoods in the capital city, Addis Ababa). The protests were against the expansionist `master-plan` of the capital city. Demonstrators against the “master-plan” were immediately supported by the Oromia regional administration, which regarded expansion of Addis Ababa city as an ill-conceived plan that would further marginalize the neighboring Oromo people from the overall economic development benefits. Although the federal government responded with a robust security intervention to control the protests, the protests spread swiftly to other cities in the Oromia region. Under pressure, the federal government announced that it was halting (for the time being) of implementation of the “master-plan”. Meanwhile, deadly protests broke out in the northern part of Amhara region. The demonstrators demanded re-organization of Welkeit district, and that the district be administered by the Amhara regional state rather than the neighboring Tigray region. They claimed that the people of Welkeit are from Amhara ethnic identity and had been oppressed for more than two decades by the Tigray regional state administration. The government continued to control the protests through military force. Hundreds of people died and tens of thousands were detained during clashes with the military forces in both Oromia and Amhara regions. The protests forced the government to declare a State of Emergency on 9 October 2016 (which lasted for ten months). During the State of Emergency mass-detentions, restricted communications, and political prosecution of opposition political activists and leaders (like the popular figure Merara Gudina) were commonplace. Immediately after lifting of the State of Emergency on 4 August 2017, demonstrations began in a more organized pattern in Oromia region. The protesters claimed that all key positions in the federal government and security forces are controlled by the members of the minority Tigrayan ethnic group which constitute only 6% of the total population in Ethiopia. The protesters also questioned the existing federal power relations and distributions and demanded an end to the hegemonic power (political and economic) dominance of the minority Tigray party Tigrayan People´s Liberation Front (TPLF). The Oromo People´s Democratic Organization (OPDO) has also begun to publicly demand practical autonomy at regional level and fair power-sharing at the federal state level. Most of the protesters’ slogans (both in Oromia and Amhara regions) call for the downfall of the system that allows minority ruling dominance of the last 26 years. Protesters have also demanded the release of opposition political leaders and activists that were arrested before and during the State of Emergency. One thing that has made the situation worse is that half a million Oromo people have been displaced from the neighboring Somali regional administration of Ethiopia. The displacement is the largest in scale so far, and political activists have accused the Tigrayan TPLF leaders in the federal government of instigating the displacements and killings. The spirals of violence have also led to the killing and burning of homes of thousands of Amhara people in the Illubabor district of Oromia region. Amhara political activists blame this on the long-standing propaganda of Oromo political elites, who have at times spoken against the equal rights of Amharas (who have been living for generations in Oromia region long before the territorial ethnic-based federal state structure endorsed). Similarly, thousands of Sidama ethnic groups were also forced to leave Oromia and move back to their neighboring Southern Nations, Nationalities, and Peoples (SNNP) regional state. Following all of these displacements, opposition political activists have also accused the incumbent government of orchestrating ethnic conflicts by promoting distrust and division among different communities as a divide-and-rule strategy designed to maintain its own hegemony. The last two weeks have also brought forth a new pattern of ethnic tension in the public sphere. A deadly conflict between football supporters of Amhara and Tigrayan caused the death of tens and injury of hundreds. Furthermore, ethnic-based violence occurred throughout many of the universities across Ethiopia. Many Amhara and Oromo university students died, and hundreds were injured in the universities in the Tigiray region. In response, many students have demonstrated against the outbreak of violence in universities in Amhara and Oromia regions. The political turmoil of the last two years obviously signifies the desire of ordinary people for a functioning democratic political system in which they have a say in the decisions that impact on their own lives. Withstanding the inconsistency of the issues of the protesters and the fragmented pattern of manifesting their interests, it seems that one of the main causes of the political crisis is the existence of an exclusive and fragmented form of ethnically-based political representation. But transforming Ethiopia into a more stable and democratic state will require activists to develop a more inclusive and consistent approach – and for ethnic groups to direct their frustration at the system that divides them, rather than at each other. Next articleThe release of political prisoners in Ethiopia – too good to be true? However, I have to be honest that it is absolutely biased and inconsistent at least for the following reasons. 1. As a PhD student in the field of political science, you have never cited a single reference. Then what is the difference between your article and hearsay? 2. Your article has never reported or reflected on the bold realities such as ethnic attacks against Tigrians, which are reported not only by Ethiopian media but also international media such as Aljezeera, BBC and VOA. The attacks include the killings and displacement of more than 10,000 people from Gondar; the killings of Tigrian University students in Metu and Wollega Universities; arbitrary arrests by of Tigrians by the Oromia regional government (Metu, Shashemene, Ambo, Adama); ethnic cleansing of Tigrian University students from Metu, Ambo, Wellega, Jima Universities. Burning and robbing of houses and properties of Tigrians have been carriedout for the last 2 years in Gondar, Illu Ababora, shashemene and Jima in the presence of local officials and security officers. It is a simple logic that these attacks and harassments are the results of politically motivated reports and deliberate distortion of facts such as that of yours. Very sad to learn these realities. 3. You have multiplied the death of one student in Adigrat University of Tigray region as if many. In contrary, you never dare to mention the killings of 2 Tigrian students at the Universities in Oromia region. What a hateful writing! 4. Your article, suggests for the restructuring the present federal system, which is based on ethnicity and language. On the other hand, you seem to be favoring the claim of Gondars that “Welkays are Amhara” because you have not reflected anything position of the Welkayt people themselves, the government of Tigray, the federal government and even the position of Amahara government in this regard. 5. You have crudely written as if key positions at the federal government are taken by TPLF but you have never defined what key position means; how many ministerial positions do TPLF, OPDO, ANDM and SEPDM occupy each for example? Dear Hailu (? Tewelede, I guess), thank you for your comment. But, I found your comment entangled with emotive words that tends to make me feel suspicious of your motives and circumspect of your statments. In any case, I think, the issues you mentioned (from number 2 to 4) could also be considered as additional opinions (if you claim them as facts) to strenghten my arguement which calls for re-examining (reconsidering, rethinking) the ethnic-based mode of political representation. It also seems me sensible to remind you that your comment on number 5 and 1 are out of the context. If you read it again objectively, I hope, you will change your mind. Thanks again. 2. Your article has never reported or reflected on the bold realities such as ethnic attacks against Tigrians, which are reported not only by Ethiopian media but also international media such as Aljezeera, BBC and VOA. 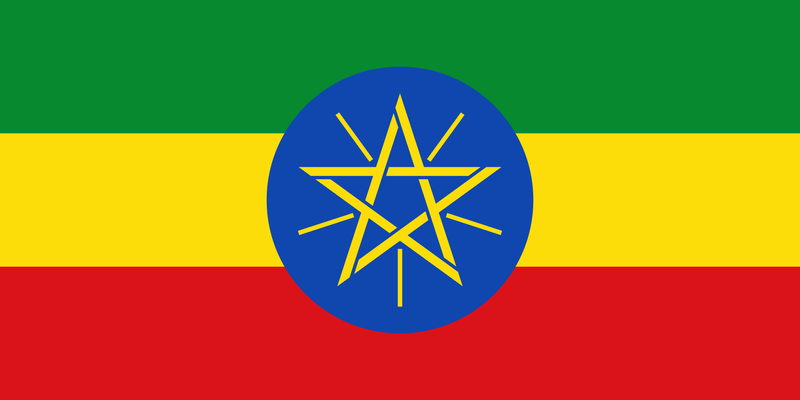 The attacks include the killings and displacement of more than 10,000 people from Gondar; the killings of Tigrian University students in Metu and Wollega Universities; arbitrary arrests of Tigrians by the Oromia regional government (Metu, Shashemene, Ambo, Adama); ethnic cleansing of Tigrian University students from Metu, Ambo, Wellega, Jima Universities. Burning and robbing of houses and properties of Tigrians have been carriedout for the last 2 years in Gondar, Illu Ababora, shashemene and Jima in the presence of local officials and security officers. It is a simple logic that these attacks and harassments are the results of politically motivated reports and deliberate distortion of facts such as that of yours. Very sad to learn these realities. 4. Your article, suggests for restructuring of the present federal system, which is based on ethnicity and language. On the other hand, you seem to be favoring the claim of Gondars that “Welkatys are Amhara” because you have not reflected anything on the positions of the Welkayt people themselves, the government of Tigray, the federal government, and even the position of Amahara regional government in this regard. So you are contradicting to yourself such that you are echoing your ethnic group’s claim of Welkayt based on ethnicity but suggesting again for restructuring of the ethnic based federal system. Please feel free to post further messages and comments, but we don’t approve messages that are overly personal or could be construed to involve threats, like this one.